The new partnership will play an important part in helping the club build on recent successes, with EAM Consulting’s support helping train and develop home-grown coaches. 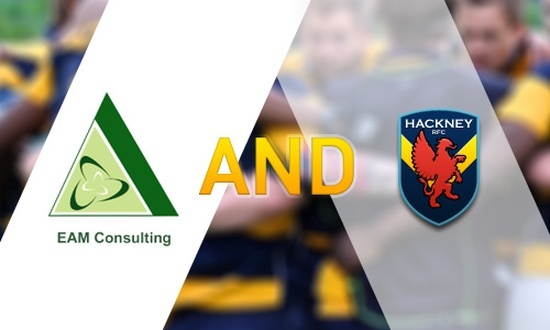 Hackney RFC has launched a number of new sides in recent seasons (currently running 3 mens and 1 womens team) and has continued to progress up the league structures. This new partnership will help improve the experience of players at the club and develop the playing skills necessary to continue this success.